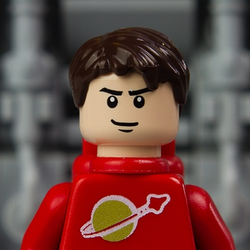 For the latest news regarding the Exo Suit, please visit the LEGO CUUSOO Blog. Congratulations on 10,000 Supporters, PeterReid! Again, beautiful model and well-deserved success! 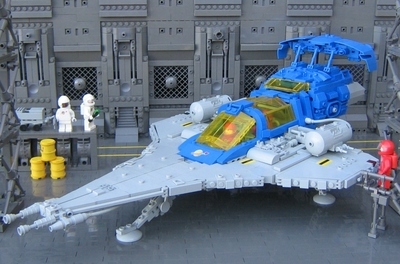 It's great to see a model that carries the essence of classic LEGO Space forward to the "present day" of building qualify for review. Congratulations on achieving 10,000 supporters. We now officially advance this project to the Review phase. This project qualifies for the quarterly review beginning in March, which will also include all projects that reach 10,000 between now and March 4. For more information about the quarterly review process, see this blog post. The review is a thorough process and from its start, and can take several months. When finished, we make a "go/no go" decision to develop and sell a product based on the Exo Suit concept. 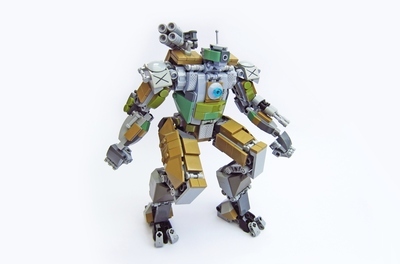 Congratulations on passing this milestone of 5,000 supporters on LEGO CUUSOO for the Exo Suit! You're halfway there! Like we said before, this is a really awesome model. The detail makes it come alive and it's easy to imagine it working in a shuttle bay, a team of them constructing a space station, or engaged in an epic mecha battle. 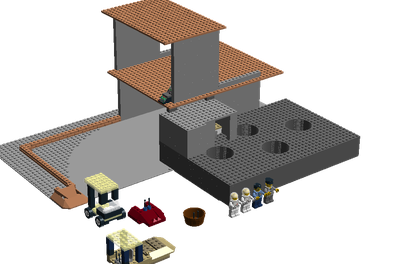 Once the project reaches 10,000 and enters the review stage, our design team will need to address the complexity of this build and the techniques used, to see if it is feasible to maintain the essence of the model while ensuring it uses legal techniques, is cost effective, buildable, and playable. On the second half of your journey, you are welcome to offer suggestions toward this end. Check out #2 on the post Cheat Sheet: How to Pass the LEGO Review with Flying Colors. Congratulations on all of the supporters! We're amazed at the detail in these Exo Suit designs. 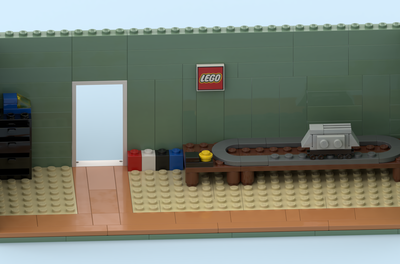 It would be great to have the opportunity to produce a set based on your work that has been featured in various LEGO-related publications.